Here are the uniforms in front of our apartment ready to be picked up by a friend on their 4-wheeler to be brought to the public school. I don't think Jeanne and I could fit all of this on our bikes! 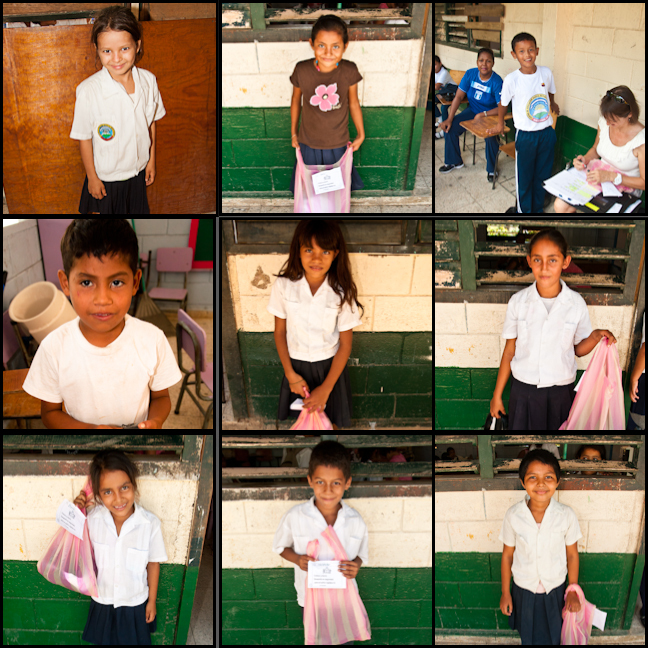 Last Thursday and Friday we delivered brand new uniforms to some of the children of Centro Educación Básica República de Honduras. Hopefully it was the first of many “deliveries” we make to the school. The children are getting used to us being there and it is so special when they swarm around us as soon as we step on the grounds of the school. I just love how they come up and talk to me as if I could understand everything they say in their native Spanish tongue. It is these moments where I am reminded of how learning Spanish needs to be a daily occurrence. I desperately want to communicate without limits with the children. My podcasts of Discover Spanish and Coffee Break Spanish have been a huge help in language learning. They are perfect to listen to while I’m working on the uniform order or ironing or crafting in my room. This is the swarming of smiling children who love to have their picture taken! We never know what is going to happen when we arrive at the school. On Friday the entire school was gathered on the playground and hearing the necessary instructions of field day before heading out to the field. We had just enough time to put the boxes down in one of the classrooms and then we were asked to speak to the school and let them know who we are and why we are always there. (There is a lot of spontaneity involved in this culture…and I love it!). I wanted to capture it all, so Jeanne did the honors and did it beautifully! We also presented a new volleyball and net to the gym teacher. 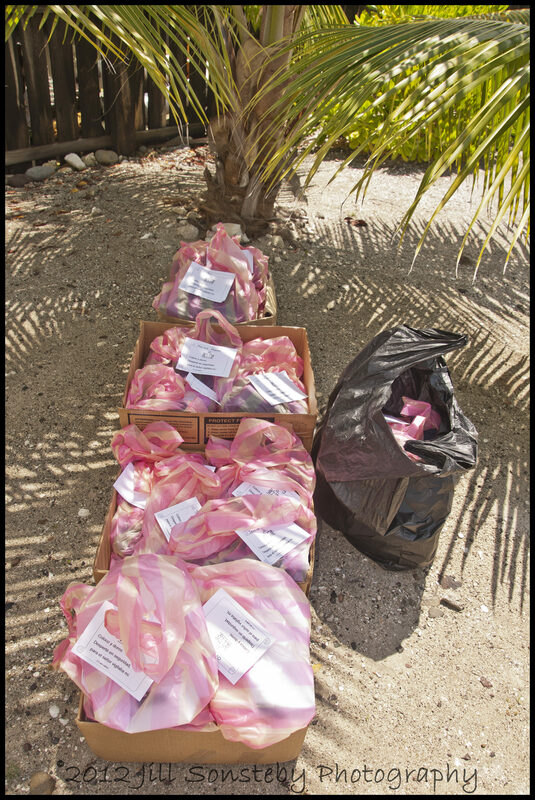 After the assembly, we put all of our pre-organizing skills to work and started handing out uniforms. We went to each classroom and called each child out and made sure everything fit. What good is it if we hand them their uniforms and never make sure the shoes, skirt, pants, or shirt fit! It took many hours to make sure everything fit, but it was well worth it. Some older kids followed us from the Kindergarten classroom because they wanted to see the other children receiving new uniforms. They even helped the smaller kids try the shoes on. 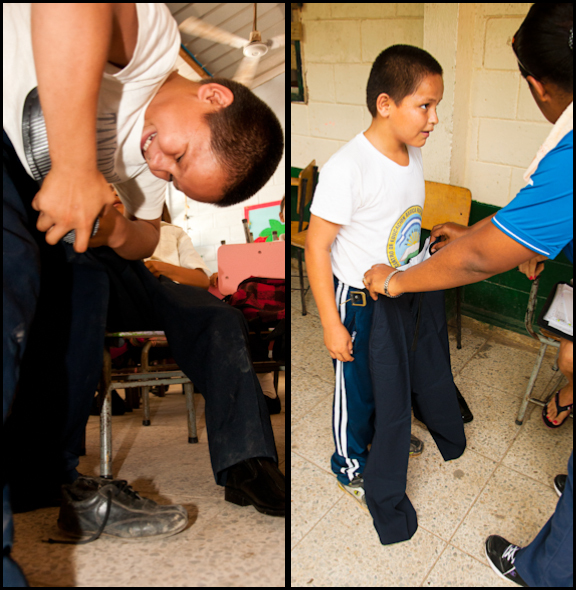 This little boy helped his little brother with shoes and the following day was getting a new uniform himself. I could post another 100 pictures of these few hours of complete joy, but I think you probably have other things to be doing:) I am amazed at how fulfilling it is to advocate for children. Just 2 months ago, I didn’t know these children, but now when we see each other on the street, they say “hola” and some even stop to give me a hug. I am grateful for all who have joined our efforts by donating their money so that we can make this possible. 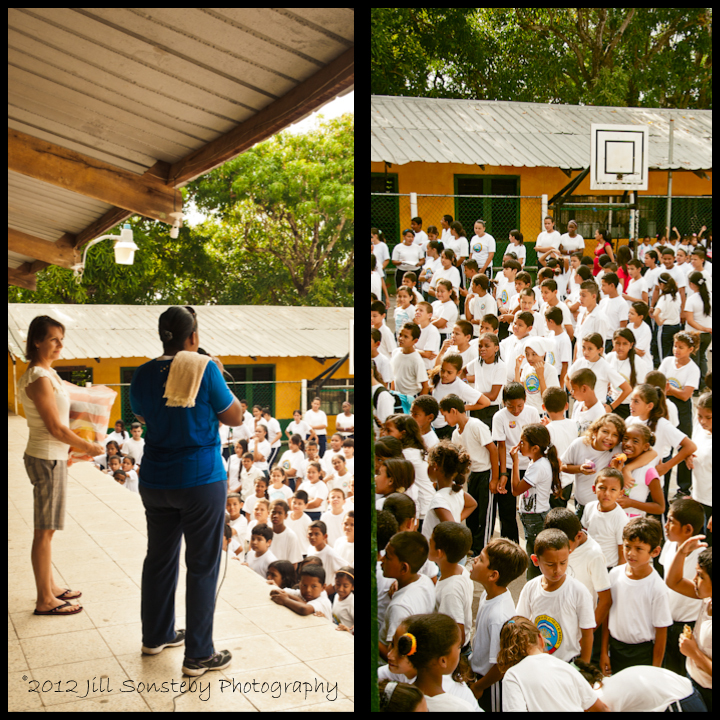 My good friend and roommate, Jeanne, also writes a great blog about what we are doing: Jeanne in Utila. 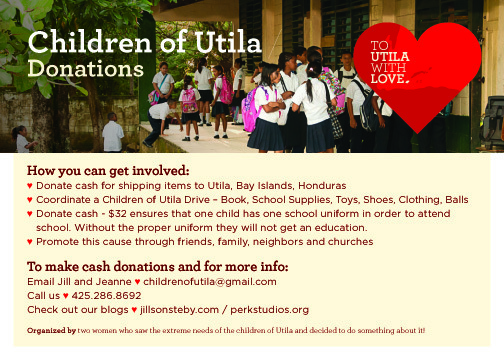 If you are interested in participating with Children of Utila, please email us at childrenofutila @ gmail.com. I love seeing your pictures of the kids. They tell a story unto themselves and your words fill my heart with joy. 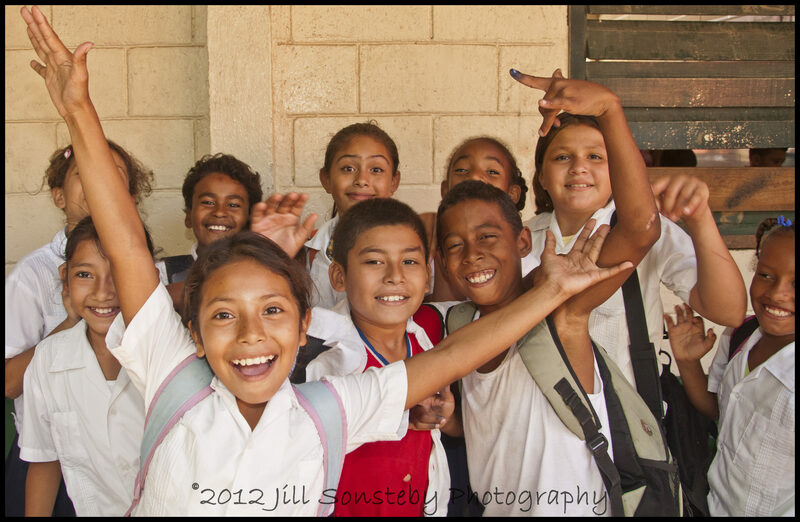 Isn’t it amazing that needy kids are so excited for other kids to get something new? Joy indeed!